"Wish" can be used in many ways in English. The website below explains all of them and you can also complete several online exercises. 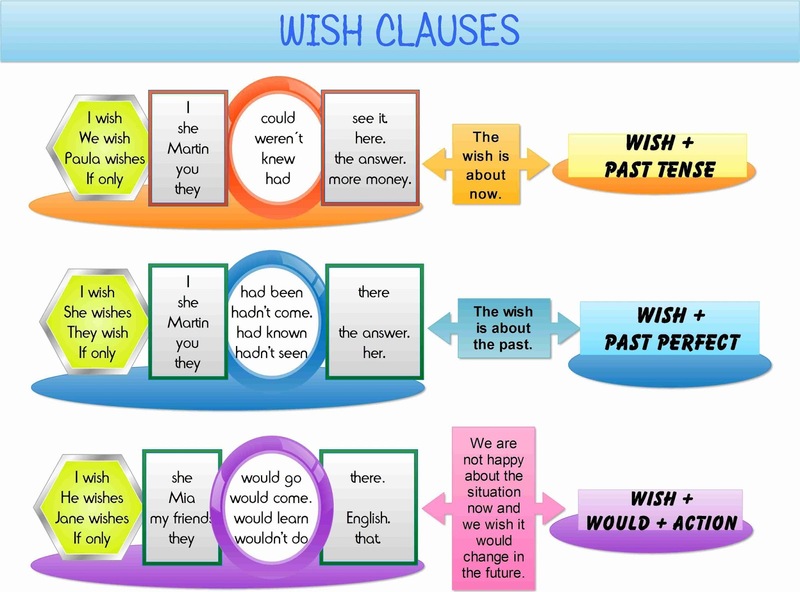 Here is another website with many excellent examples of how to use "wish" in the present, past, and future along with online exercises. After reading some reviews on Essay Jedi, I decided to move to Ohio. It's cool that you posted about English learning, cause that's exactly what I need. i have seen many of your post which are very helpful in my studies. English grammar is the basic step to speak, read, write english. Thanks for sharing this video. Please also provide some more videos on grammar study. I will share this with my friend to help them in there studies also.